After class, Steven and Brian come by. 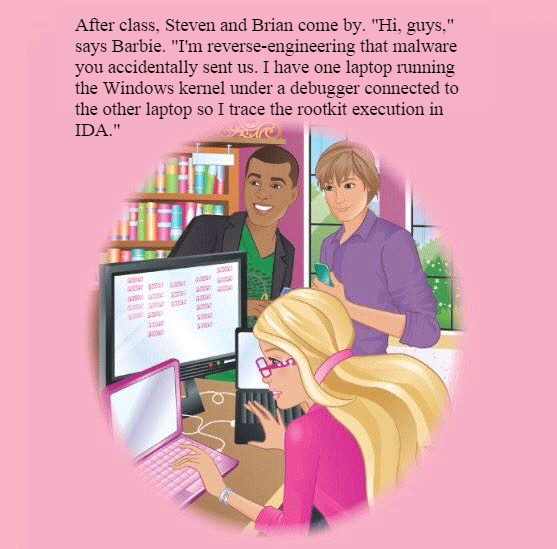 "Hi, guys," says Barbie. "I'm reverse-engineering that malware you accidentally sent us. I have one laptop running the Windows kernel under a debugger connected to the other laptop so I trace the rootkit execution in IDA."